Counting hundreds of little letters from a calendar is hard! I’m sure I’ve made some counting errors, but I’m not worrying about 100% accuracy tonight. This has really been a good experiment for me, and a great way to motivate myself to do time-slices, especially for things like exercise and cleaning that I have a hard time motivating myself for otherwise. There were quite a few letters missing that I was able to work out from other evidence, including several R’s, one E in March, a D on a Sunday in November when I know I went to a write-in, and so on. I’m definitely going to try something of the sort for 2013. Since I’m trying to save money where I can, and I got a decent looking ‘Muscle cars’ calendar free from the oil change shop, I guess that’s my goal tracking calendar for next year! 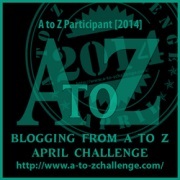 B for Blogging: I marked a B to indicate a day that I posted a new blog post 297 times. This seems low compared to my WordPress.com annual report, even taking into account that I never went back and updated the calendar for the 2 weeks I spent in Kansas (and at Polaris, the weekend after I got back from Kansas.) I suspect that several times, I did a blog post last thing in the evening, went to bed, and never went back and marked my B. C for Cleaning: I got 166 Cs for a timeslice of at least 20 minutes cleaning, tidying, or organizing things around my apartment. Occasionally this was a double C in a single day, if I was feeling exceptionally cleanergetic. D for Driving. 197 days got the letter D for days that I drove, either driving practice before I passed my licence, borrowing a family car, or just driving in Ghost once I’d bought my own car. E for Editing. I have 251 of the letter E marked in the calendar for working on my own editing. 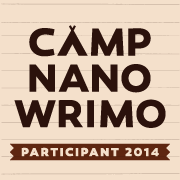 50 of them are in March, where I was using one E to indicate one hour logged for National Novel Editing Month. Otherwise, it’s any significant amount of time, at least 20 minutes or so, one E per day. L for Losing. Each letter L represents a half-hour time slice of walking around outside or other cardio exercise. Could be double Ls in a day. I got 335.